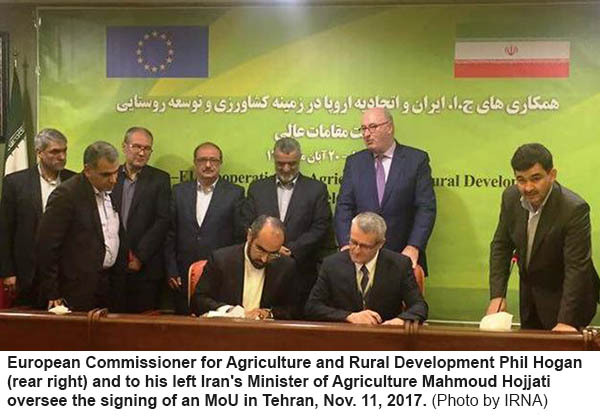 TEHRAN - Phil Hogan, European Union commissioner for agriculture and rural development, has predicted a bright future for economic cooperation between Iran and the European Union, particularly in food and agriculture sectors. "We seek to tighten bilateral ties between Iran and the EU which secures interests of both sides," he said. 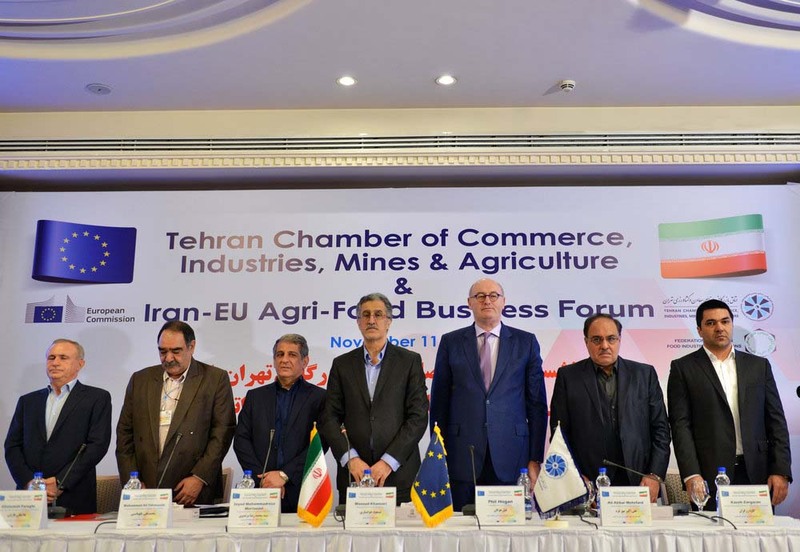 Hogan, leading a 70-member delegation from 40 European companies to Tehran, made the remarks addressing the Iran-EU Agri-Food Business Forum at the place of Tehran Chamber of Commerce, Industries, Mines and Agriculture (TCCIMA) on Saturday. "Some 40 European companies from 19 EU countries are attending this forum and all of them have high potentials for boosting cooperation with Iran in various fields of the food industry." The commissioner, elsewhere, called for European companies to become more familiar with investment opportunities in Iran as well as related regulations. The Iranian government seeks to improve food production standards, the European official said, adding that European companies can share their experiences with their Iranian counterparts in this regard, while recognizing needs of customers to supply suitable products. TCCIMA Head Masoud Khansari, who hosted the event, for his part addressed the issue of banking barriers on the way of boosting the Iran-EU cooperation. Referring to the 60-percent rise in the two-way trade after the implementation of Iran's nuclear deal - officially known as the JCPOA - in January 2016, he regretted that banking impediments still hinder the growth of trade with EU. "EU is the second major destination for exports of Iranian products, accounting for 13 percent of Iran's annual foreign trade," he announced. Khansari also referred to the ample investment opportunities in various sectors of the Iranian economy, saying that "regarding Iran's population of 80 million people and access to a regional 400-million-market, European investors can benefit from boosting cooperation, particularly in food industry, with Iranian firms." "The Iranian food industry has witnessed an acceptable growth and food products have presently a big stake in Iran's non-oil exports," he said, "By expanding their ties with Iranian companies, European investors active in this sector will have the chance to find their way to other markets in the region."